The grocery stores here in Portland are speckled with folks wearing colorful puffy coats as they drift through the aisles. Knit hats are coming back in vogue. We’ve felt our first cold snap. Any day now, we’ll be rummaging for last year’s gloves and scraping frost from the windshields. On the farm, we’ve put the fields to bed for the winter. 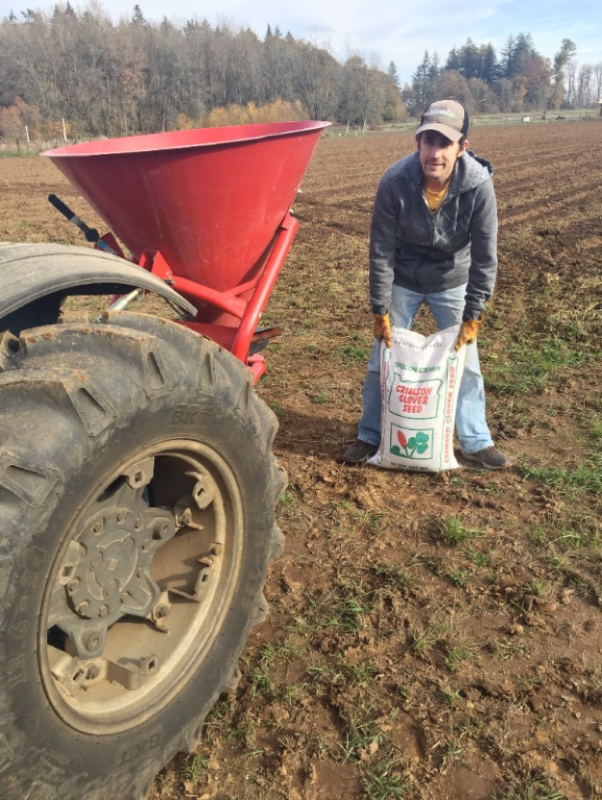 Brett, Reid, Chuck and David have completed our fall soil amendment plan and planted the land with two winter cover crops: crimson clover and oats. Cover crops are essential to a beneficial farming operation. 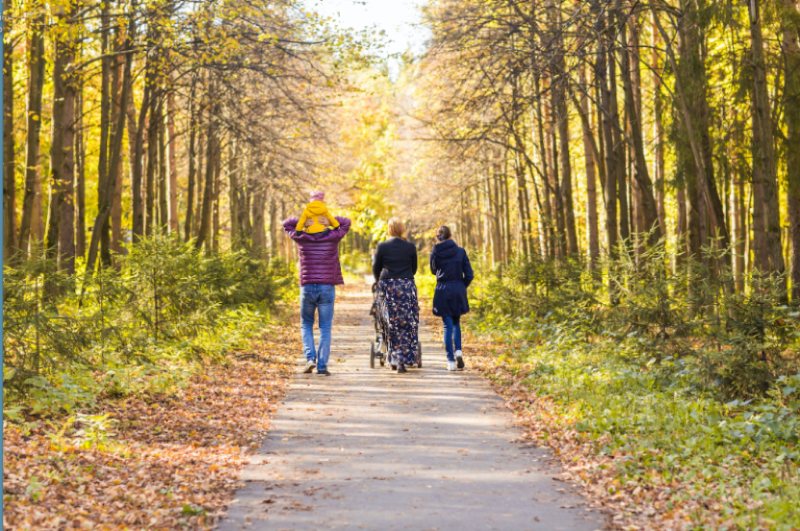 What happens in the off-season has tremendous impact on the health of the land. When soil is left bare, it is vulnerable to erosion, compaction, weed overgrowth, and nutrient washout. In regenerative farming, our goal is not only to prevent these damages, but to yield a net positive in terms of biodiversity, soil fertility and growing potential. Crimson clover is a member of the legume family and fixes nitrogen, which is essential food for our hemp plants every spring. The oats grow tall and fast, producing abundant biomass. 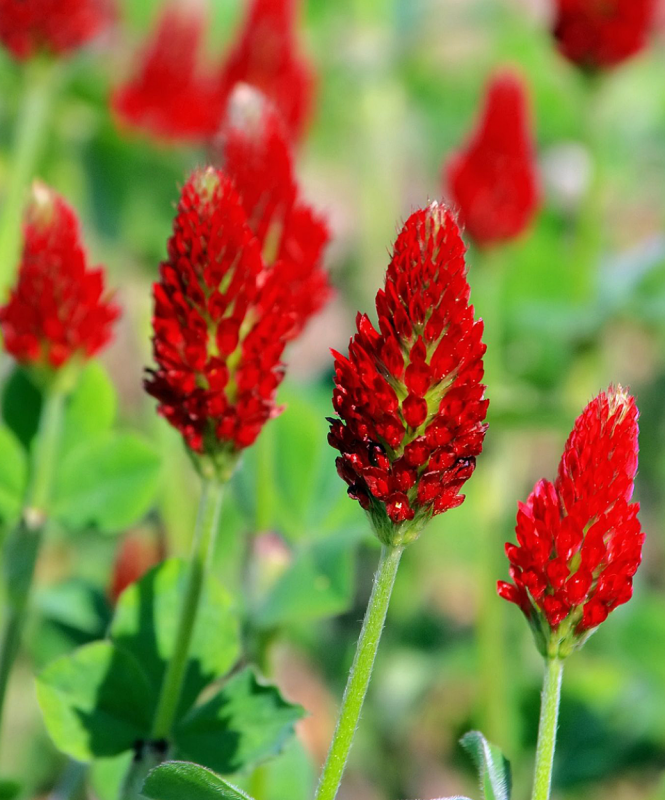 They also scavenge unused nutrients, making them a protective and enriching companion plant to crimson clover. In spring these “green manure” cover crops will be tilled under, along with manure and supplemental organic fertilizer. As these break down they will continue to enrich and nourish the soil throughout the season. For now we let the land have a nice winter sleep, with the quiet regeneration such rest brings. Elsewhere on the farm, the days grow shorter but we’re still busy at work. 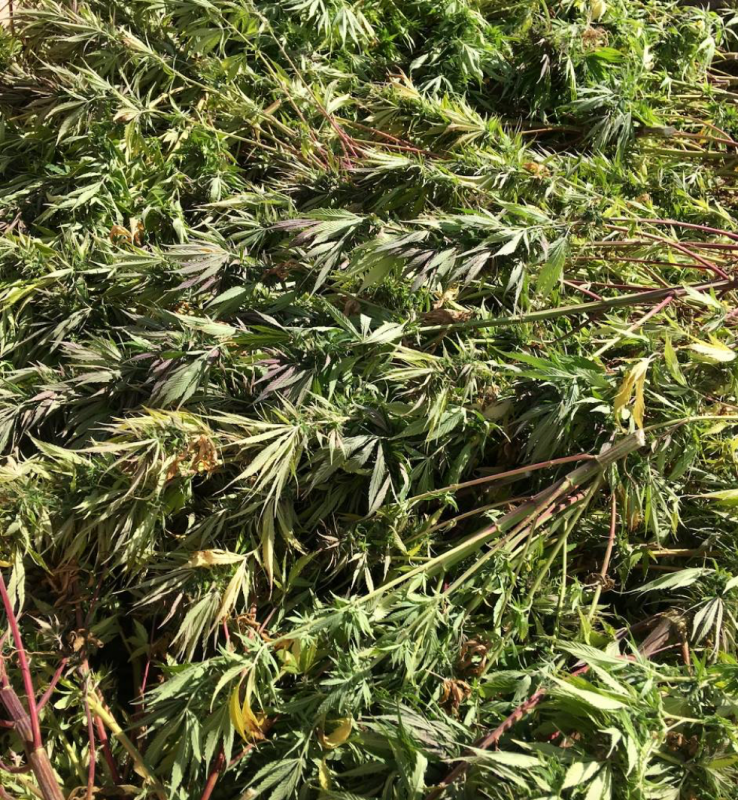 Post-harvest season brings us under cover on cold days as we process our cured hemp flowers to get them ready for extraction. This happens in several stages. First, we remove flowers from each stem with our de-budding machine. This separates the woody stalks from the resinous flowers. The unneeded stalks are chipped up and used as mulch on the farm, adding organic matter to the soil. Next, we grind the flowers to produce a fluffy material with the consistency of loose-leaf tea, which is ideal for extraction. We shake the ground flowers through a screen to separate out the small stems and fibers that remain. Once the flowers are sifted, they’re ready for storage. We transfer them to containers that provide a cool, dark, and airtight environment, infused with nitrogen gas, to preserve all the cannabinoids and terpenes until extraction. We’re set to finish our hemp processing during November, and then move our attention to the myriad smaller tasks that have been patiently waiting for a calm moment. Earlier sunsets and colder temps have us all thinking soup thoughts. 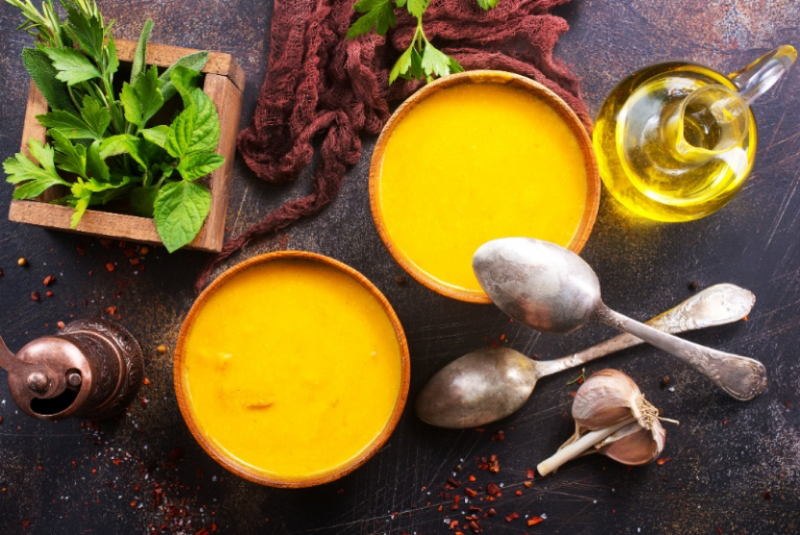 Try out this simple yet memorable pumpkin curry soup next time you pull out the soup pot. It’s easy enough for a weeknight meal alongside salad and bread, yet refined enough to serve as a holiday side dish. 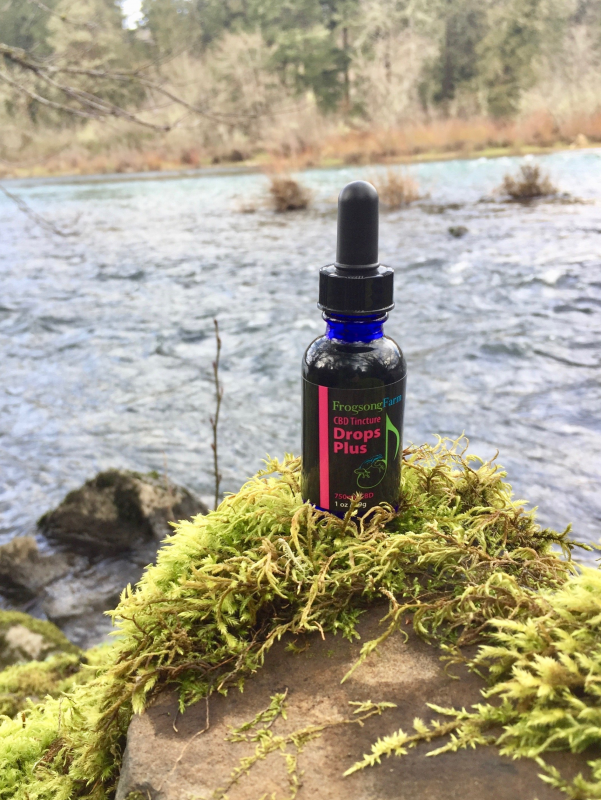 There’s always the option to add CBD oil for extra benefits.Visit our blog for the full recipe! Thank you for following along with Frogsong Farm and for sharing your CBD stories with us and those around you. Please continue to spread the word, leave reviews, and connect with us online. We love hearing from you! Remember, our web storeis open and our whole line of CBD tincturesand topical rubsis available for order. Who on your gift list could benefit from some all-natural pain relief? Order now and have CBD for your loved ones ahead of the holidays. Wishing you all a happy, delicious, pain-free Thanksgiving. This entry was posted in Farm Updates, News, People, Products. Bookmark the permalink. Overheard: A Candid Chat with CBD Beginners.